Today the church commemorates Isaac Watts, hymn writer who died in 1748. Thought by many to be the greatest hymn writer in the English language, Watts as a youth was critical of the quality of the met-rical psalter of the time. He wrote about 600 hymns—many based on the psalms. 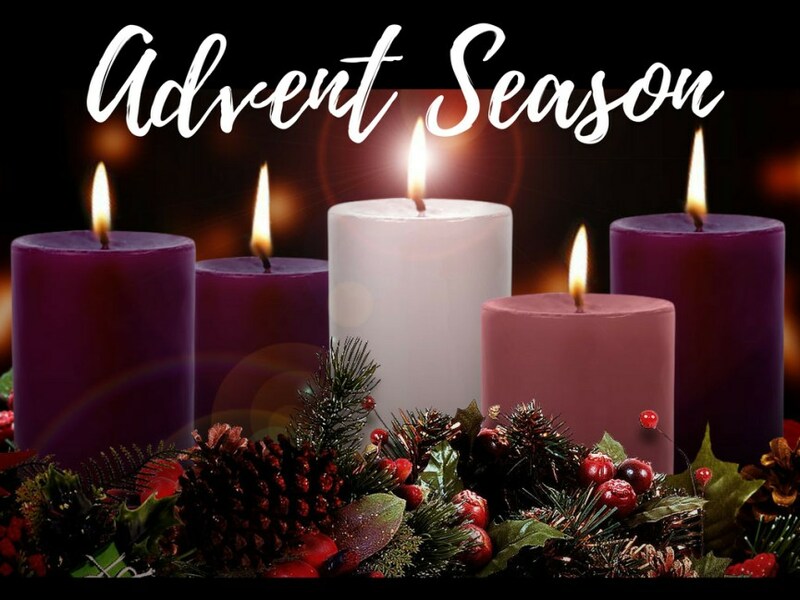 Ten of Watts's hymns texts are in the ELW, including our Gathering Hymn, Joy to the Word, ELW 267 which is appropri-ate not only for Advent but also for today as we celebrate that the "Savior reigns!" This week’s Eucha-ristic prayer applies the metaphor of sovereignty to all three persons of the trinity. It is written by a former member of UniLu, Gail Ramshaw. Our setting this morning is ELW Setting II. This setting was revised for the ELW from Renewing Worship Liturgies: Holy Communion and composed by Marty Haugen. It was composed to be led by a pianist, but also works well with organ. Even after Israel had experienced the vagaries of kings, they still longed for a true king to set things right. He would have the king’s title of Anointed One (Messiah); he would be the “one like a human be-ing” (Son of Man) given dominion in Daniel’s vision. Jesus is given these titles, even though he is noth-ing like an earthly king. His authority comes from the truth to which he bears witness, and those who recognize the truth voluntarily listen to him. We look forward to the day he is given dominion, knowing his victory will be the nonviolent victory of love. All are invited to Join us on Sunday, November 25th at 6:00 PM for a community style dinner (you’re invited to bring something, but not obligated) and enjoy a time of fellowship over a hot meal! 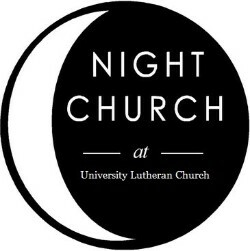 Join us for Night Church on Sunday, November 25th at 7:00 PM! We gather together in song, prayer, and contemplation as we worship together in this brief (30 minutes) Holden Evening Prayer. Remember there is no Night Church in December. 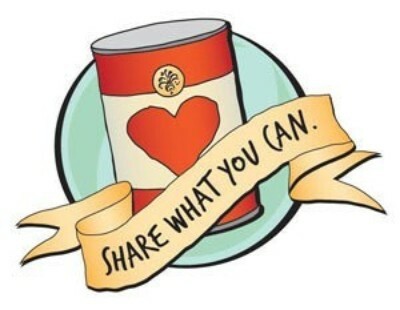 UniLu is collecting canned goods on behalf of the Grace Lutheran Food Pantry throughout the Christmas Season. We have collected a total of three blankets so far! November 25, 2018 marks the 130th anniversary of The Evangelical Lutheran Church of the Incarnation. As is written in History of the Evangelical Lutheran Church of the Incarnation, published in 1938 on the occasion of the 50th anniversary of the old Incarnation Church, “Between Forty-second Street at Woodlands Cemetery on the east, and Fiftieth Street on the west, Dr. Shaeffer decided there were enough people to justify opening a mission. He found a hall over a store in a building located at the northwest corner of Forty-sixth Street and Woodland Avenue. People came to the store on weekdays to buy meat for bodily nourishment. On the second floor and on ‘the first day of the week, commonly called Sunday,’ the first assembly of people to receive meat for their souls’ nourishment occurred. 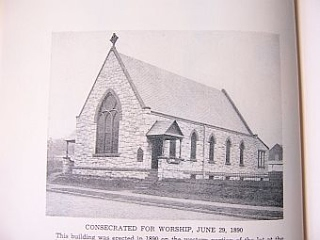 Any time we of this church become snobbish because of the culture of our founders, we might reduce our self-esteem to proper size by remembering that the Holy Spirit’s grace became available to the first of our membership when they met in the hall over a meat shop.” There were 29 persons in attendance at the first service, which was held on November 25, 1888. • The service is a series of Bible readings interspersed with carols, hymns and congregational singing. It will last approximately 1 hour. • Location: Saint Agatha Saint James, 38th & Chestnut. • Admission free, voluntary collection for Nutritional Development Services. Advent and Christmas at UniLu! 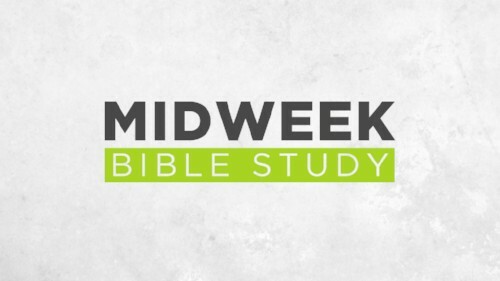 Join us this Wednesday at 6:00 PM for dinner and discussion at 6:00 PM. This is a time for students and young adults to come together and relax with others who share our faith. Anyone is welcome to come out and join us Wednesday evenings for a few minutes or the whole time, whatever your schedule allows. 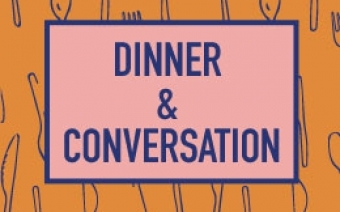 Reminder: Dinner and Discussion will not meet during December. 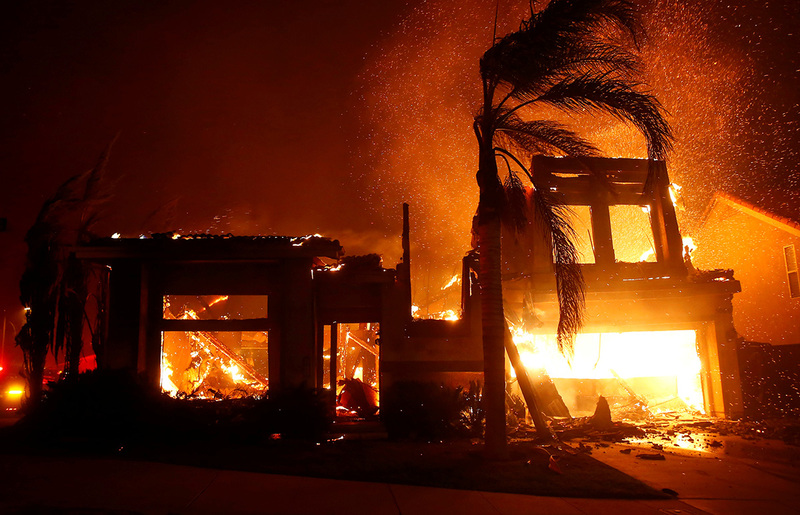 As I write you this, several wildfires are raging across California. Already more than 30 people have died and more than 200 are missing, while hundreds of thousands of people have fled their homes under evacuation orders. I’m writing to ask you to give today to help people whose lives have been impacted by the wildfires in California. The road to recovery will be long, but we have an opportunity to accompany survivors and let them know they are not alone. Through our partners in California, Lutheran Disaster Response has already begun addressing immediate needs, including providing food and other necessities to survivors. We are also preparing to address long-term needs which might include rebuilding of structures and emotional and spiritual care. The need will be great. Stay connected to the latest events and our response to this and other disasters through our Facebook page. Join us in prayer help spread the word. Write "U.S. Wildfires" on your check memo line. Give by phone at 800-638-3522 or online. For those in need. For those who seek jobs, shelter, food, health, and love; for dear ones known to us including Don, Ron, Matthew, Tom, DeeAnn, Liam, Sophia, Magdalena and her son Zechariah, Gerard, Marjorie, Jim, Ben, Michelle, Dustin, Gerlinde, David, and Kevin. For the whole church, especially our Conference Partner this week Mediator Lutheran Church and our siblings around the world in Oceania: American Samoa, Cook Islands, Fiji, French Polynesia (Maohi Nui), Kanaky, Kiribati, Marshall Islands, Micronesia, Nauru, Niue, Palau, Papua New Guinea, Samoa, Solomon Islands, Tonga, Tuvalu, Vanuatu. For victims of gun violence. We served 92 meals last week. Since the beginning of 2018, over 3200 meals have been served.